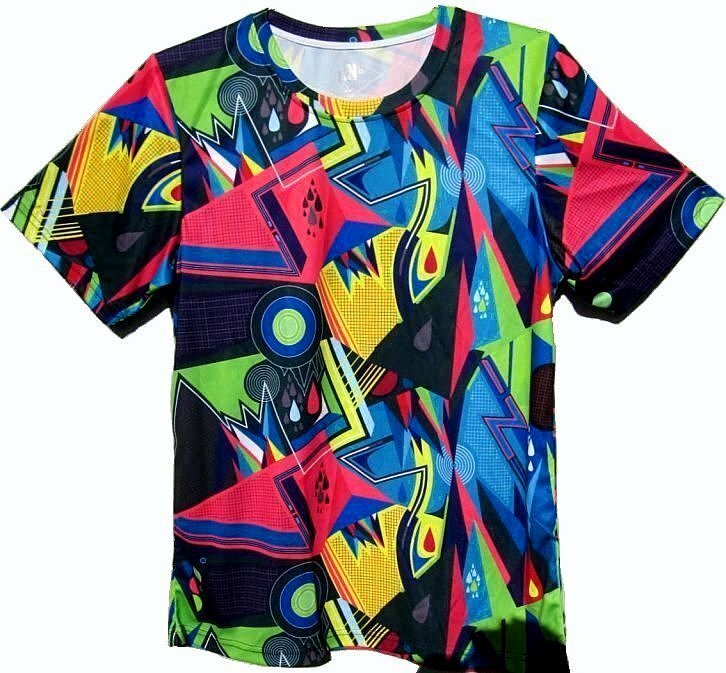 This shirt has a wonderful explosion of color that blends well. The stretchy pullover consists of Lime, Fuchsia, Banana Yellow, Black, Red and Teal Blue. The shirt would have been worn tight at the time. Its' size depends on whether or not one wants it to fit snuggly or loose. It is a 40 - 46 fit. 40 for a loose fit. 46 for the tightest fit when stretched. The shirt length is 27.5". The shoulder is 18". - 19.5". The polyester shirt is machine washable inside out. Chest size measures a bit larger than "chest fit" size listed below.